Rowland Phillips says there are positives from Wales' displays so far this season. Pic: Getty Images. 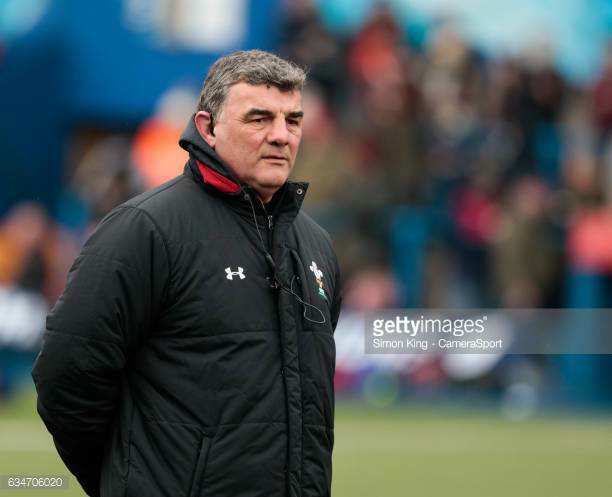 Rowland Phillips has made two changes and two positional to the Wales Women side to face Italy in Lecce on Saturday as he backed his players to bounce back from the defeat to France. The Head Coach has named a new second row partnership with Ospreys locks Natalia John and Gwen Crabb earning their second starts while Siwan Lillicrap moves to No 8 to win her 25th cap and Beth Lewis switches back to the blindside. The backline is unchanged with Elinor Snowsill set to win her 50th Wales cap if she comes on from the bench. Second row Mel Clay was ruled out of the match after an abrasion to the leg hasn’t healed from last weekend’s 52-3 defeat by the Grand Slam champs in Montpelier. Rowland Phillips has made two changes and two positional to his side to face @Federugby in Lecce on Saturday evening. “It was important to continue with this team’s development.” said Phillips. “While last weekend’s match against France was very difficult all-round, we have confidence in the abilities of these players to bounce back and show what they can do. “Natalia impressed when she came on against France and Gwen is a natural line-out leader. We have reshuffled the back row with Siwan and Beth moving to their more familiar positions of No 8 and flanker. “Alisha Butchers is an excellent player and I’m sure she will make a big impact when she takes the field, as will the other replacements as they did last weekend.